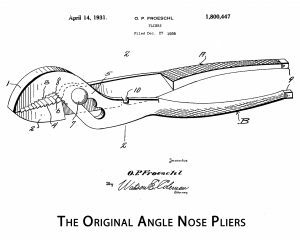 Some 95 years ago in Kansas City, Missouri, brothers Paul and Otto Froeschl thought of an idea for the ordinary straight-nose pliers; angle the nose 32 degrees to create greater leverage and gripping power. Thus was born the original Wilde Wrench, the first pair of angle nose pliers granted U.S. Patent #1,800,447. During this time, the name Wilde had become synonymous with quality hand tools and was fondly trademarked The Pliersmiths™. The original Wilde Wrench is as practical and useful today as it was over ninety-five years ago. This is a testimony to the soundness of an idea and design which produced the first pliers of its kind. 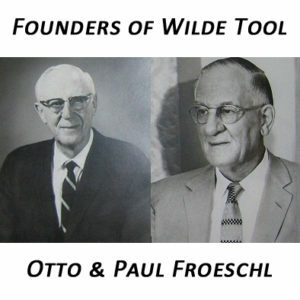 Today, the third and fourth generation of the founders continue to produce quality hand tools. Wilde Tool’s primary business is private-labeling for several national and international tool companies, mass merchandisers, and OEM’s. In 2011, an effort to spread awareness of the WILDE® brand came into the fold with a new company logo, an investment in retail packaging, a new website, and partnerships with many U.S.A. distributors in the farm & home market. 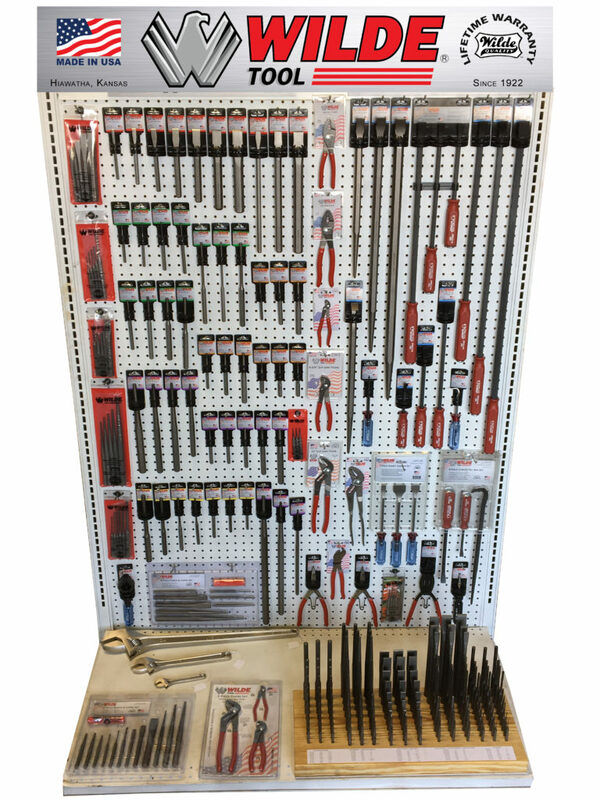 Many WILDE®-branded merchandisers and displays offer pliers, pry bars, punches, chisels, and other hand tools for plumbing, automotive, electrical, industrial, agriculture and service professionals.